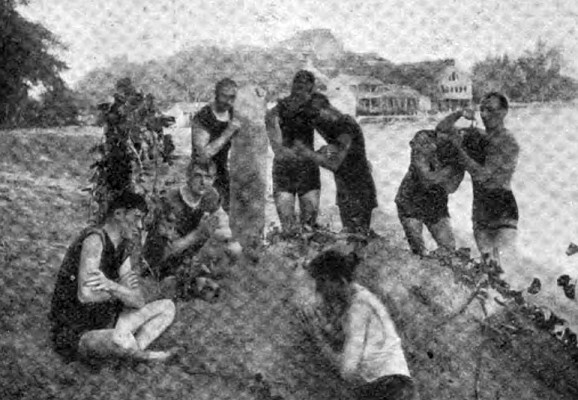 The Wide World Magazine: Waikiki, 1901.
: International News Company, New York, 1901, page 623. Unfortunately the photograph is reproduced poorly. The long deal board is pine. A sand-bath is a hygienic luxury of comparatively ancient date, but the inventiveness of the Sandwich Island natives has given it a newer and more amusing significance. Burying a man alive in sand has become one of the current jokes of the day. The victim must be a willing one. sidered in the light of artistic finish to get up a weeping-scene. other's shoulders, and pre- tend to sob in a most heart- breaking manner. The long deal boards for surfriding look really unpleasantly like coffin-lids, and the whole business - as a theatrical eccentricity - stands without a rival in the annals and traditions of the bathing resort. BURIED UP TO THE NECK IS SAND IN THE SANDWICH ISLANDS. 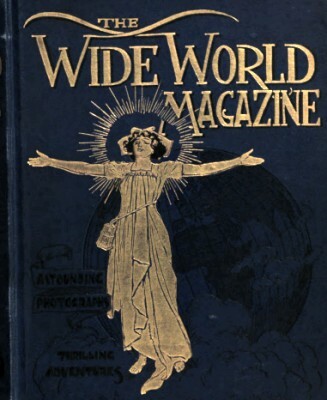 : International News Company, New York, 1901. Geoff Cater (2016) : Wide World Magazine : Hawaii, 1901.